Happy Thursday everyone!! Oh my gosh, I feel like I said this last week, but now I'm gonna have to say it again. This week was a doozy! (Is that even a word? I don't even know at this point). Though I'll admit, since it's been so cold, I've literally been rotating between 3 different pairs of work pants for the past 3 weeks! I don't want to wear tights. I'm boycotting them this year. They're too annoying to put on, I just can't. So that means that I can't wear skirts or dresses because it's just too dang cold! Thankfully, the weekend is coming up and I'm going to enjoy wearing some causal outfits like this one below! This top is so fun because it has bell sleeves!! I wasn't really sure about the whole bell-sleeve thing when I first started seeing them. But apparently they're here to stay...a least for this next season, and they have really started to grow on me! They're super pretty and feminine and add a little something extra to the basic tee-shirt. This one I'm wearing is from Banana Republic. They're current sold out in this white color :( but they have some other colors to choose from which I linked below. 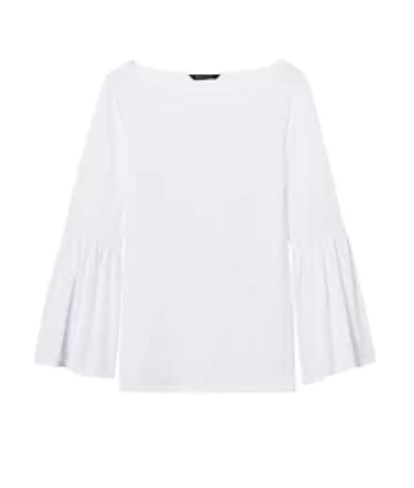 I also linked a whole bunch of other white bell-sleeve tops which are VERY similar to this one. See! 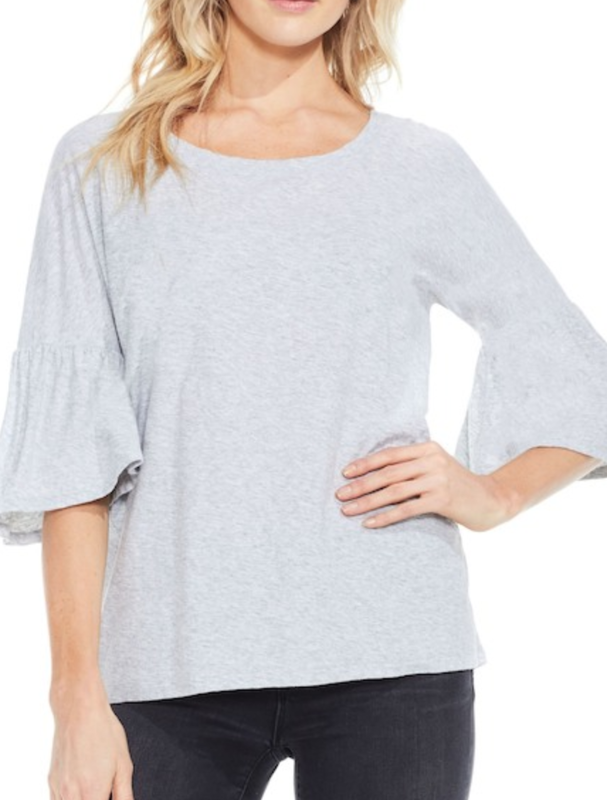 All the stores are jumping on the bell-sleeve band wagon! 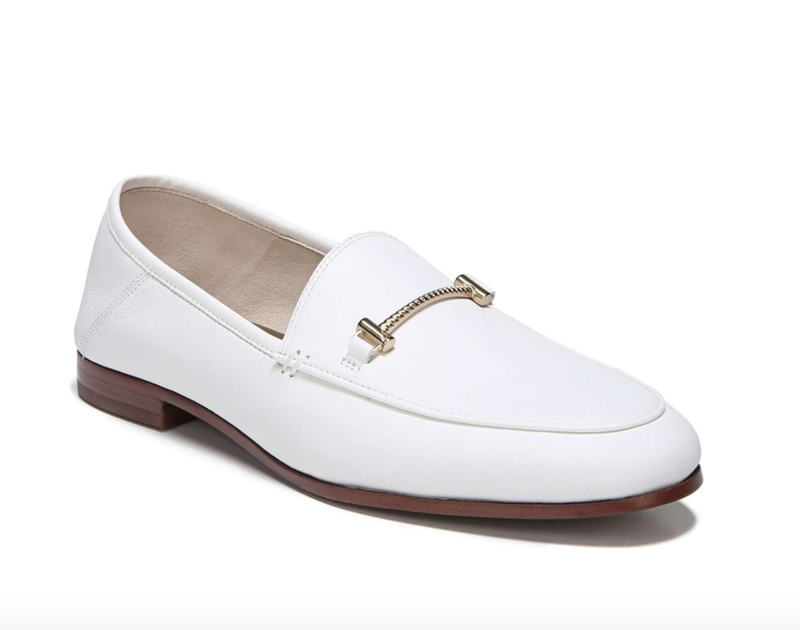 I also am really excited about these Sam Edelman loafers! They are just amazing and so versatile! I definitely recommend if you need a nice looking shoe that you need to be able to walk around in that's nicer than a sneaker. I also found these from Target which are similar, but they're black and more of a "loafer mule" and I just think they're so cute!! 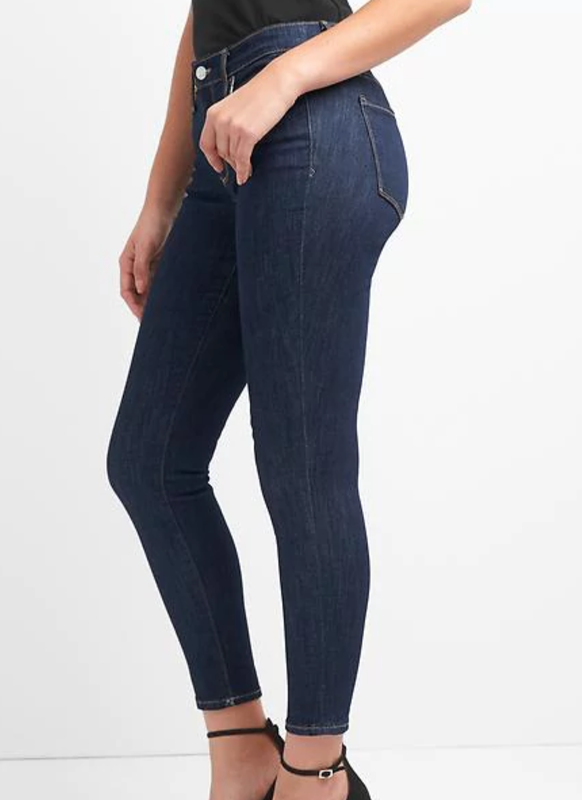 The jeans that I'm wearing are a pair that I bought several years ago from Gap. I linked a more current similar style from them (I think it may even be the same) below. I cuffed the bottoms of the jeans for this outfit because it just felt right. Haha. I hope that you all are having a really lovely week! I can't believe we're already almost halfway through February! Time really does fly!